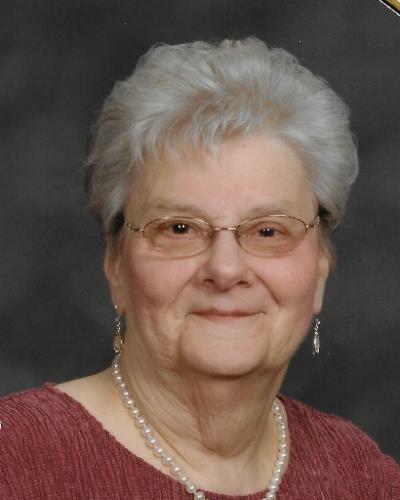 Shemanski, Beverly Jean Saginaw, Michigan Loving mother, grandmother and great-grandmother passed away Monday, February 27, 2017 at St. Mary's of Michigan Medical Center. Age 84 years. Daughter of the late Theodore and Esther (Kujawa) Lazowski, Beverly was born July 10, 1932 in Saginaw, Michigan. She was married to Sylvester M. "Sy" Shemanski on October 24, 1953. He predeceased her January 30, 1998. Beverly was a member of Holy Spirit Catholic Church. She enjoyed playing cards especially Euchre and spending time with her grandchildren and great-grandchildren. Surviving to cherish her memory are four sons, two daughters and their spouses, Joseph Shemanski, Columbia, Tenn.; Raphael and Beth Shemanski, Mequon, Wisconsin; Kenneth Shemanski, Saginaw; Edward and Sarah Shemanski, Saginaw; Cheryl and Tom Kenneally, Westerville, Ohio; Susan and James Schofield, St. Charles; 14 grandchildren, Justin and Jaimee Shemanski, Brett and Tiffany Shemanski, Jordan and Natalie Shemanski, Stephanie Shemanski , Nicole Shemanski and her fianc Tyler Wilson, Alex, Max and Sam Schofield, Jacob Kenneally, Jack and Jalie Shemanski, Abigail, Aaron and Ryan Shemanski; four great-grandchildren, Emmett, Khloe, Jordan and Amelia Shemanski; two half-sisters, Carolina and Steve Terhaar, Christina Lazowski; two half-brothers, Ted Lazowski, Tom and Michele Lazowski; many nieces and nephews. Beverly was preceded in death by her daughter, Jean Shemanski and her sister, Dolores Birchmeier. Funeral Liturgy will take place 11:00 a.m. Friday, March 3, 2017 at Holy Spirit Catholic Church, 1035 N. River Rd., Saginaw, Michigan. Rev. Fr. Peter J. Gaspeny will officiate with burial in St. Andrew Cemetery. Friends may visit at The Snow Funeral Home, 3775 N. Center Rd. (between Shattuck and McCarty), where the family will be present on Thursday from 2:00 p.m. to 8:00 p.m. and at the church on Friday from 10:00 a.m. until time of Mass. A Vigil Service will take place 7:30 p.m. Thursday at the funeral home. Those planning an expression of sympathy may wish to consider memorials to Holy Spirit Catholic Church or the Underground Railroad.